Courts restrain El-Rufai from demolishing Kasuwar Barchi market – Royal Times of Nigeria. A Kaduna High Court presided over by Justice Mohammed Bello, has issued a restraining order on Gov. Nasiru El-Rufa’i not to demolish the Kasuwar Barchi market in Kaduna until the determination of the case before the court. The case was instituted by 16 persons, on behalf of stall owners and traders in Kasuwar Barchi, seeking to stop the governor from demolishing the market. Joined in the suit are the Attorney-General of Kaduna State and Kaduna Investment Promotion Agency as second and third respondents. The plaintiffs include Auwalu Hussain, Kabiru Usman, Aminu Ahmed, Bawa Ahmed, Josia Sunday, Ndubueze Egbo-Ogu, Augustine Sunday. Others are, Ali Abdulhamid, Maryam Abubakar, Rabiatu Musa, Latifah Yusuf, Amina Abdulrauf, Aishatu Ibrahim, Hafsat Uba, Sa’adiya Ahmed and Wasilat Ahmed. Counsel to the plaintiffs, Mr Elisha Kurah, SAN, had prayed the court to restrain the defendants from going ahead with the demolishing of the market. He also prayed the court to determine whether the establishment, maintenance and regulations of markets is vested on the governor. The counsel hinged his prayer on Section 7(1) and (5) of the 1999 Constitution of the Federal Republic of Nigeria, as amended, together with item 1(e) of the 4th Schedule to the Constitution. 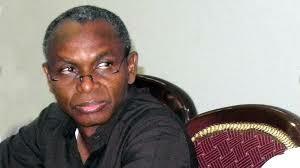 He also cited Section 20(a) and 21(2) of the Local Government Administration Law of Kaduna State 2012 as amended. Kurah said the court should determine whether the governor has power to issue notice to legal occupants of a market in the state for the purpose of establishment, maintenance, regulation or conversion of the said market. He said that if the above questions are resolved in their favour, the court should declare that the state government lacked the legal right to make any law to derogate from the function of local governments as specified by law. The plaintiffs also want the court to make a declaration that the state government have no constitutional power to take over Kasuwar Barchi market from Kaduna South Local Government and hand it over to private developer. They also prayed the court to declare that the establishment, maintenance and regulation of markets is a function constitutionally conferred on local governments, as such the state government has no legal right to hand over such functions to private developer. The traders said the court should declare that the threat by the defendants to demolish the market, including shops of the plaintiffs, is invalid, improper, blatant display of raw executive power, illegal, unconstitutional and null and void. The case has been adjourned till June 5, for hearing.